This article explains regional settings and how they affect working with the CONNEX devices. Since each region works with its own set of frequencies and has its own regulations, devices that are allocated to different regions CANNOT be linked. For example, an Air Unit for the US cannot be linked with a Ground Unit for Europe. 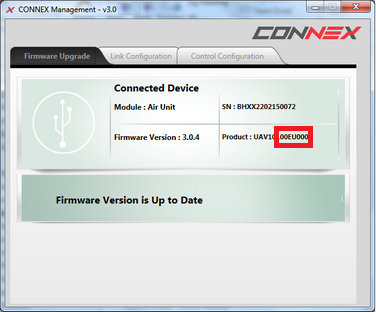 For more information about the Management tool, see CONNEX Management Application.